There’s a Child’s Play remake starring Aubrey Plaza coming out in 2019 and the teaser is now here. And folks, I am shocked to see that this new Chucky might not be a haunted doll after all. In this new movie “Chucky” is a Buddi doll, based on the original movie’s Good Guy Doll. 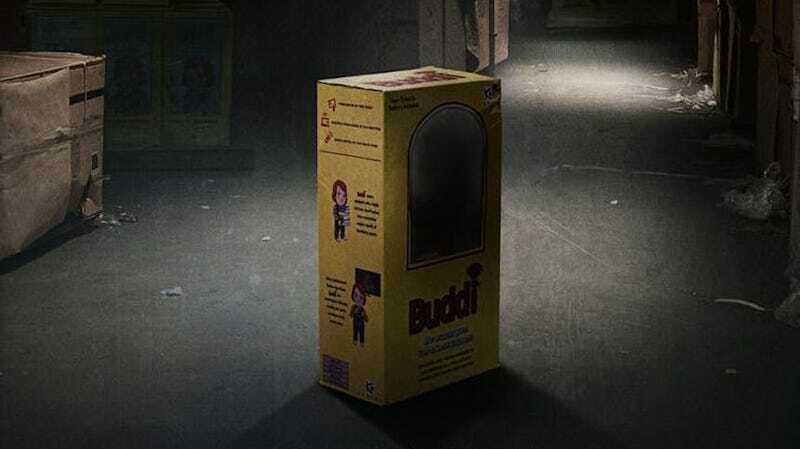 But rather than be possessed by a serial killer struggling to commit murder in his tiny new form like in the original, this new Chucky will reportedly be an “out-of-control robot doll.” The teaser opens with a little marketing bit from the fake company Kaslan which manufactures the Buddi doll, which appears to create futuristic smart technology akin to Amazon. All of that is reflected in this new Buddi doll which, according to the fake website for the doll, includes “cloud-backed voice recognition,” the ability to be programmed through a tablet, and 20 sensors and cameras, to name a few. Booooooring! Do we really need a movie about an out-of-control smart doll? Granted the set-up for Child’s Play is dated by 2019 standards as the original had that Cabbage Patch doll context. But perhaps the most disappointing thing about this remake, which I’ll add does not include the involvement of the series creator Don Mancini, is that it effectively takes Chucky out of the haunted doll canon. The math is simple: doll + soul of dead person (preferably vengeful dead person) = haunted doll. I repeat: Chucky is no longer a haunted doll. He is just another malfunctioning robot in a long, cinematic series of malfunctioning robots.